Humans aren't the only animals enchanted by the ocean. 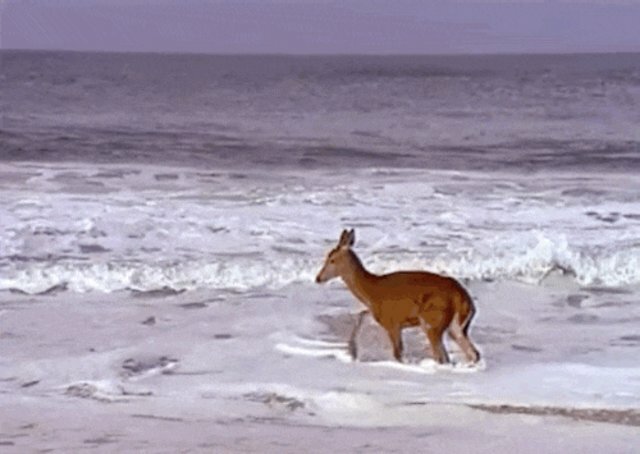 A clip that appears to be taken by Anthony Martin, a French filmmaker, shows a deer's wonderful reaction to a visit to the shore. She runs through the surf, bucking and spinning with joy. Not much is known about the video, though the deer appears to be wild. 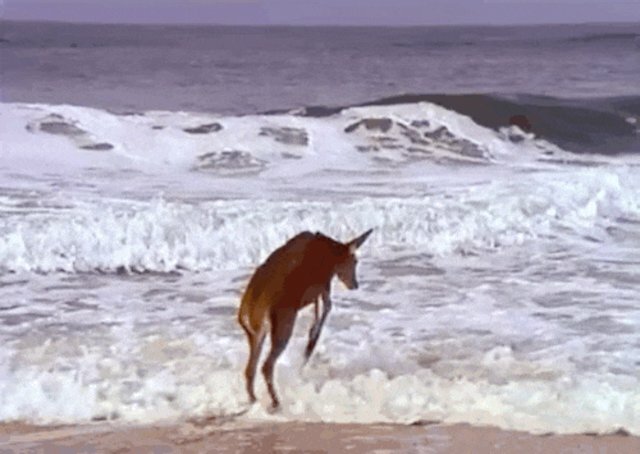 While deer aren't usually associated with the beach, most are capable swimmers - and this deer seems to be perfectly at home leaping through the waves. Whatever the story, the video's a good reminder that there are some experiences that all species can share. A pig named Ziggy captivated audiences a few months ago with a very similar reaction to a day at the beach; for his story, click here.